This Day in Presbyterian History · Daily devotional readings in Scripture, the Westminster Standards, & Presbyterian history. You may have noted that several of those featured in this historical devotional guide have been mentioned for more than just one date out of the year. Their birth dates, their death dates, and significant dates during their lives may have been featured. The reason why that is that they, while members now of the triumphant church, were well-known members of the militant church on earth, and so there is much to note about their lives and how the Lord worked through them. Such a one was Benjamin Breckinridge Warfield, whose inaugural address we featured this past Saturday, and who we feature again today. 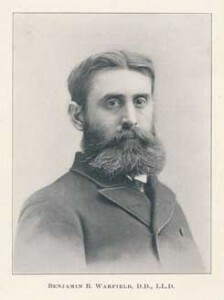 Born in 1851 in Kentucky from good solid Presbyterian heritage, especially on his mother’s side, Warfield was known and still is known as a great defender of the faith. The books he wrote are still readily available in both hard copy as well as on the web. Yet he had limited experience in the pulpit and pastorate, serving only a few years in that capacity. Further, he was not interested in church politics, either in the presbytery, synod, or general assembly. His place of ministry was always in the classroom in a seminary setting. In that sense, he was, as Paul puts it in Ephesians 4:12, an individual who “equipped the saints.” That word “equip” is used in the gospels accounts to describe the necessary work of the fishermen who later became the apostles of our Lord. It was said that when that divine call came, they were “mending the nets.” In other words, they were getting the nets ready for service. This is what the word “equip” speaks about in Ephesians 4. And that is exactly what Warfield did as a professor at Princeton Theological Seminary with his students. They were equipped as student saints. They were prepared for service in the kingdom of God. No one did a better job in his time there than Benjamin Breckinridge Warfield. He took over the Chair of Charles Hodge from the son of Charles Hodge, A. A. Hodge. He was therefore a link to the marvelous Hodge dynasty at old Princeton. When he died in 1921, it was said that Old Princeton had passed away. In God’s providence, a mere nine years later Westminster Theological Seminary began, as an effort to preserve and continue something of that tradition of Old Princeton. And to think all this story was begun officially on April 26, 1879 when Benjamin Breckinridge Warfield was ordained to the ministry, being ordained by the Presbytery of Ebenezer (PCUSA). It was a recognition of the spiritual gifts which he possessed in knowledge and wisdom, in teaching, and in discernment. His ordination was a recognition by the Church of the hope and anticipation of how those gifts might be used in coming years, for the glory of God. Words to Live By: Warfield is in heaven now, but his words live on in the church on earth. It will do you, the reader, much good to spend time in reading his books either in book form or on the web. Those books are not always easy to read, but they are worth the effort, for they still stand ready to equip you for service in Christ’s kingdom. 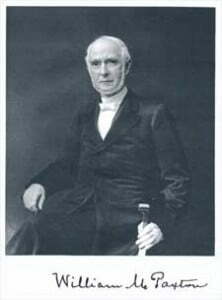 A number of Dr. Warfield’s works can be easily located online, here. Note: Consulting Robinson’s Ministerial Directory (1898), page 526, we find that Warfield was ordained by the Presbytery of Ebenezer, on 26 April 1879. 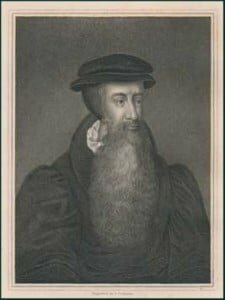 From the time-line provided in Robinson, it looks like Warfield’s ordination was performed with a view to his installation as professor of Didactic & Polemic Theology at the Princeton Theological Seminary. 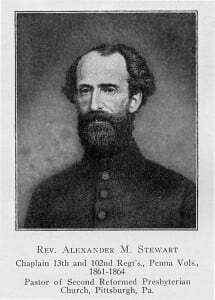 He had first served in the summer of 1875 as stated supply in Concord, KY, then in Dayton, OH in the summer of 1876, and from 1877-78 as stated supply for First Presbyterian in Baltimore, MD. He was an instructor in New Testament Literature and Exegesis at Western Seminary, 1878-79. Thus the ordination would have taken place at the end of the academic year at Western, but probably after Warfield had his call to Princeton in hand. 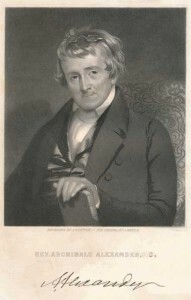 Joseph Addison Alexander was the third son of the Rev. 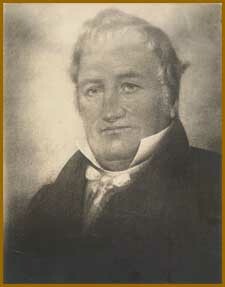 Archibald Alexander and his wife Janetta (Waddel) Alexander and he was born on this day, April 24, in 1809. In modern terms, Joseph was home schooled, and he developed an insatiable thirst for knowledge, pursuing one subject after another as it caught his attention. Eventually he grew to become another of that esteemed early faculty of the Princeton Theological Seminary. “…in the midst of all his laborious and diversified pursuits he saved time for the most heart-searching exercises in his closet. He gave himself up to daily communion with his God. He might neglect everything else, but he could not neglect his private devotions. In point of fact he neglected nothing. He moved as by clockwork. The cultivation of personal piety, in the light of the inspired word, was now with him the main object that he had in life. The next most prominent goal that he set before himself was the interpretation of the original scriptures; for their own sake, and for the benefit of a rising ministry, as well as for the gratification he took in the work. The Bible was to him the most profoundly interesting book in the world. It was in his eyes not merely the only source of true and undefiled religion, but also the very paragon among all remains of human genius. He knew great portions of it by heart….But more than this, the Bible was the chief object of his personal enthusiasm; he was fond of it; he was proud of it; he exulted in it. It occupied his best thoughts by day and by night. It was his meat and drink. It was his delectable reward. There were times when he might say with the Psalmist, “Mine eyes prevent the night watches that I might meditate in thy word, I have rejoiced in the way of thy precepts more than in great riches.” He succeeded perfectly in communicating this delightful zeal to others. His pupils all concur in saying that “he made the Bible glorious” to them. Words to Live By: The Bible is the very Word of God—His self-revelation to His people. J.A. Alexander seems to have made Psalm 1 the model and guide for his life. If you have never memorized a portion of Scripture, this Psalm is short and is a great place to start. Setting it to memory, such that you can think on it at various times, will bring real profit. Sent to Korea as a physician, Horace Newton Allen was in Seoul in 1884 when a royal relative of the governing family was stabbed and left badly injured. A German diplomat called for Dr. Allen to treat the young man with Western style medicine practices with the result that the young member of the royal family recovered in three months. Obviously pleased with the results, the royal family was grateful beyond words and ready to do any thing and everything the physician desired. He promptly went about to establish a hospital which sought to train native Koreans in Western style medicine practices. But Allen also sought to open up the vast land to American evangelists and missionaries, for that was what Dr. Allen was himself. Born April 23, 1858 in Delaware, Ohio, Horace Newton Allen studied at Ohio Wesleyan University. Graduating from there, he went on to get his medical credentials from Miami Medical School in Ohio. Sent out first by the Presbyterian Board of Foreign Missions to China, he stayed but a year as a result of less than welcome from the Chinese people. So he went to Korea and had the above experience. This wide and effective door occurred when Korea was still anti-Christian in its attitude and actions toward Christians. A little before this, over 10,000 Koreans who had converted to Christianity had been beheaded. But his example as a Christian doctor enabled the opening of the door to Christians evangelists and missionaries from other lands, including the United States, to enter the land and minister there in complete freedom. In fact, so much did he identify with the Korean people, that the United States in 1897 appointed him as a diplomatic minister and consul general to that land. He stayed there in this government position until 1905 when President Teddy Roosevelt recalled him. He returned to the United States and died in 1932. The medical facility which he began was called in Korean, “The House of Extended Grace.” And that is what Dr. Horace Allen brought to Korea as he evangelized the souls of people in that Asian nation and healed the bodies of Korean people. Words to Live By: When God opens up a wide and effective door, God’s people need to be ready to enter through it for the work of Christ’s kingdom. In 1722, with respect to the issue of creedal subscription, a schism began to develop in the infant Presbyterian church. The question was simple. Should a church officer — elder or deacon — be required to subscribe to everything in the Westminster Standards, or would it be sufficient for that officer to simply subscribe to the more basic truths of historic Christianity, as expressed, for instance, in the Nicene Creed? Dickinson took the latter position and became the chief proponent of it in the infant church. The fact that the same issue was raging in the mother countries among the immigrants from England, Scotland, and Ireland only heightened the controversy in the colonies. Eventually, the approaching storm of schism was stopped by the Adopting Act of 1729. Written by Jonathan Dickinson, it solidly placed the church as believing in the Scriptures of the Old and New Testaments as the only infallible rule of faith and life, while receiving and adopting the Confessional standards of the Westminster Assembly as subordinate standards of the church. Each court of the latter, whether Session, Presbytery, Synod, and General Assembly would decide what exceptions to the latter would be allowed, and which exceptions would not be tolerated to the Westminster Standards. The family reading for 26 April 2019. The secret reading for 26 April 2019.